Home Industry Reports Food & Beverage Global Frozen Bakery Market - Growth, Trends, and Forecast (2019 - 2024). 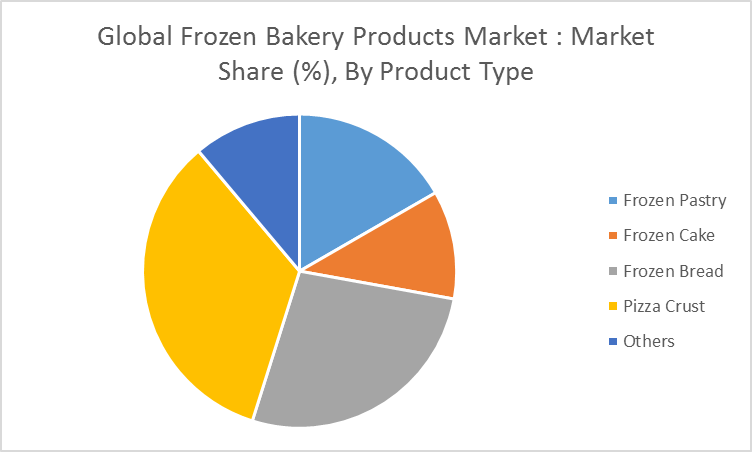 The global frozen bakery products market was valued at USD 16543.47 million in 2017 and is expected to register a CAGR of 8.0% during the forecast period (2018-2023). The intra-industry competitiveness is high and affects the market. Consumer demand is, however, affected by quality and health concerns. The growing food service market has encouraged the increasing consumer demand for frozen bakery market. The convenience factor associated with frozen bakery products is also complemented by the on-the-go snacking trend. The food service sector has been rapidly diversifying their product portfolio to include ready-to-bake and ready-to-thaw frozen baked goods. The demand for such convenient foods has been increasing from rapidly emerging cafes, restaurants, in-store bakeries, and coffee shops that typically procure frozen baked goods and thaw or bake them to provide instant delicacies. The rise of specialty frozen baked goods is complemented by the healthy offerings associated with it. Baking establishments are increasingly providing specialty baked goods that are gluten-free, dairy-free, peanut-free, and soy protein-free to access and capture the health-conscious consumer segment. The microbiological spoilage of frozen baked goods by molds, yeast, and bacteria leads to consumers opting for safer alternatives in fresh baked goods. The quality and health-conscious consumers are inclining towards fresh-baked delicacies and artisanal bakers to experience indulgence and satiety. Frozen bakery products have grown in popularity due to their ease of preparation, similarity to homemade products, and convenience. Consumer preference for artistic cakes is dominant during festive occasions. Increased demand for exotic flavors in frozen cakes is driving the frozen cake market, which is expected to register a CAGR of 8.9% during the forecast period. The consumption of frozen cakes and pastries in developed regions is mostly because of their convenience and health attributes. There is a growing popularity for to-go cake products. Scratch baking is labor intensive and requires a long time. The industry is shifting from traditional baking to bake-off technologies (BOT). Three key BOTs are unfermented frozen dough (UFD), partially baked frozen bread (PBF), and partially baked unfrozen bread (PBUF). Frozen semi-baked goods and ready-to-bake goods are also an important product segment for the food industry, especially for the hotels and catering industry. 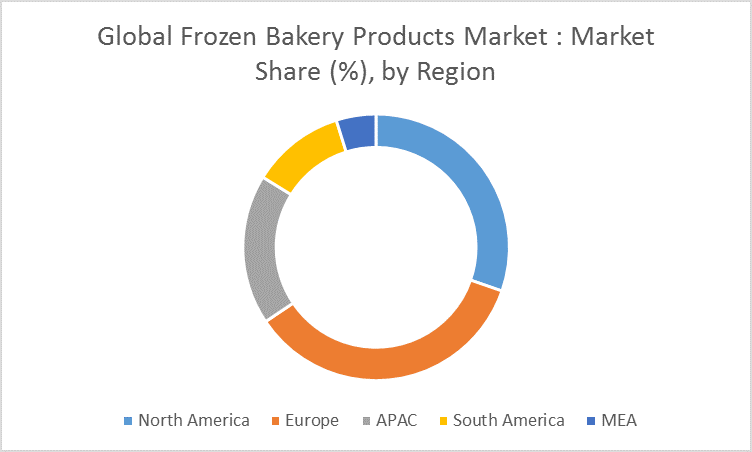 The ready-to-bake frozen bakery products market is expected to register a CAGR of 8.6% during the forecast period. Europe leads the global bakery market as does the frozen bakery industry. Morning goods is the most dominating segment in the industry. People prefer convenient and grab-and-go products in the breakfast menu and this has favored the increasing demand for frozen bakery products. Availability of gluten-free frozen baked goods has helped the growth of the market. The Asia-Pacific region is expected to grow at a CAGR of 8.6% during 2018-2023. India is witnessing a growing demand for frozen bakery products. Frozen bakery in North America is growing in the frozen par-baked bread market. “Par-baked” products are baked to within 90% of completion, then quickly frozen and shipped to customers for the final 12-15 minutes of baking. Health consciousness and indulgence are two parallel trends dominating the United States bakery products market. The developed markets of Western Europe are mature and saturated as compared to the emerging markets of Eastern Europe, which are driving the sales of biscuits and breads, owing to the high demand for convenient food products. Europastry will have expanded its presence on Ulabox and Foodinthebox, two online sales platforms aimed at end customers. General Mills manufactured baking mixes and frozen baked goods with no artificial flavors or colors for its Gold Medal and Pillsbury brands. Grupo Bimbo acquired Panattiere, a Colombia-based frozen bakery company in 2017. This acquisition will provide an opportunity for the company to increase its footprint in the market by entering foodservice and in-store bakery channels. Major players: Alpha Baking Company, Inc., Aryzta AG, Associated British Foods PLC, Barilla Holdings S.p.A., Bridgford Foods Corporation, and Conagra Brands, Inc., among others. 6.1 Alpha Baking Company, Inc.
6.14 Maple Leaf Foods, Inc.